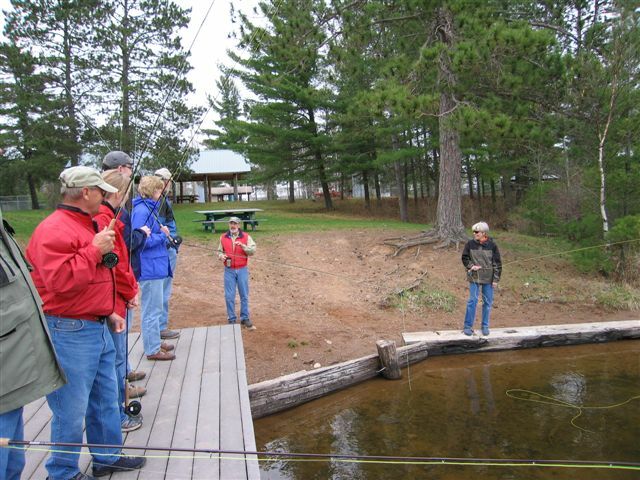 Our one day (8 hours) classes are designed to be a comprehensive introduction to the sport of fly fishing. We cover equipment and gear, casting, fly selection, knots, basic entomology and ethics/etiquette. Together, Larry & Wendy have over 30 years of fly fishing instruction in the classroom as well as many more years of guiding experience. Lunch, snacks, beverages and equipment are furnished for every class. If you have your own equipment, by all means, bring it along. Call or email to reserve your class. Each class is limited to 8 participants. The Fall Musky Bite is On & The Namekagon is OPEN!